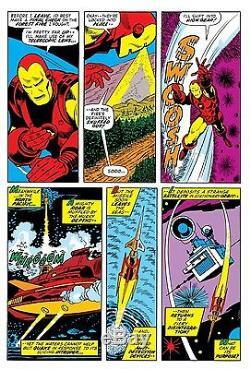 IRON MAN Issue #54 Page 2. Original pencil and ink art on MARVEL art board measuring approx. 10.5" x 15.5" with Image size 10" x 15". Back is stamped COMICS CODE AUTHORITY Approved AUG 8, 1972? (year on stamp is unclear). 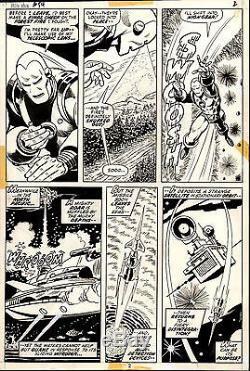 Penciled by GEORGE TUSKA and Inked by VINCE COLLETTA. 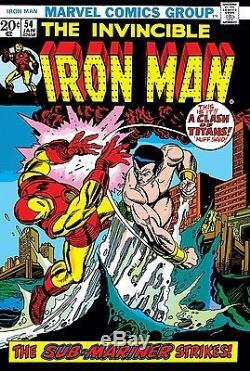 This is an amazing issue, IRON MAN battles SUB-MARINER (pencils by Bill Everett) and includes the First Appearance of MOON DRAGON. This one has good old shell head only, but that 3rd Panel is MAGNIFICENT. Art has some correction fluid, minor blue lines, and some tape in the margin. There is a crease that runs diagonally from the top to the right. Noticeable from the front but more evident on the back. Basically from IM's shoulder in the 2nd panel into his leg in the 3rd panel. More easy to see from the back. Does not take anything away from the art. I have included a picture of the printed page and comic cover, not included in the listing. Please check out the SCANs. PLEASE SEND ME YOUR FAIR OFFERS!! The item "IRON MAN #54 Page 2 ORIGINAL Comic ART George TUSKA Vince COLLETTA 1973 ARTWORK" is in sale since Tuesday, July 18, 2017. This item is in the category "Collectibles\Comics\Original Comic Art\Interior Pages". 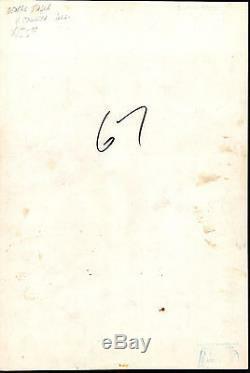 The seller is "toploaders" and is located in Whitestone, New York. This item can be shipped to United States.